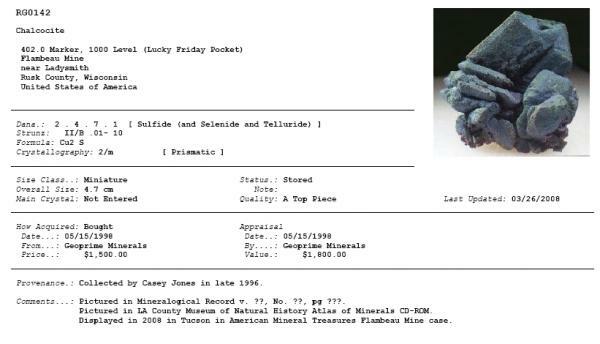 FMF - Friends of Minerals Forum, discussion and message board :: View topic - Asking: "What is this? / Where is it from?" Posted: Sep 12, 2011 06:46 Post subject: Asking: "What is this? / Where is it from?" If you want to ask about a mineral specimen that you have, please give us as much information as you can, as it will help other members give you a better response. Please read this advice carefully. It is a bit long and it might seem a bit ‘heavy’ but using it really is worthwhile. 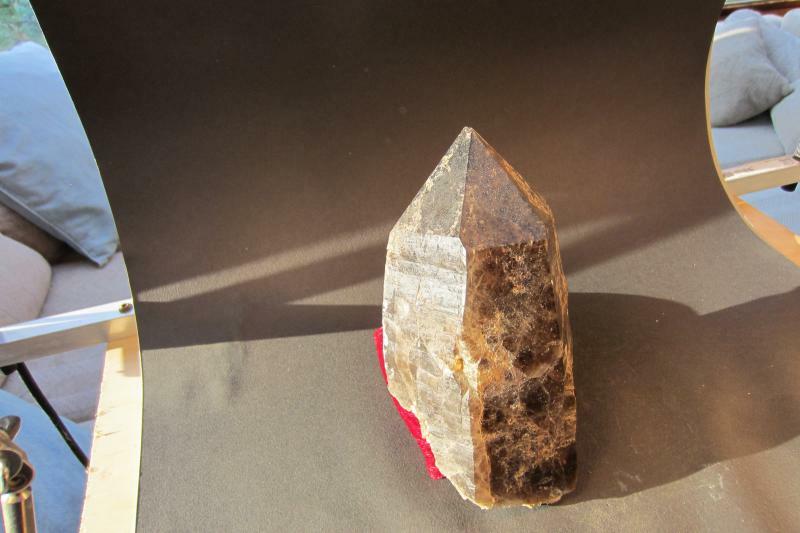 2 - LOCALITY, often just by telling other people about the mine, town or things near the locality the answer will be far easier, as other collectors or experts may well know the paragenisis and from the form and color may be able to identify the mineral. 3 - MATRIX, which is the rock on which the mineral sits. If you do not understand minerals then you may know even less about rock types but it really helps if you can tell the difference between a volcanic rock, granite, pegmatite, gneiss, sandstone or limestone. Or send a photo of the rock the mineral sits on as well as a photo of the mineral. 4 – COLOR, try to describe it as best as you can by referring to other rocks or other everyday items. On many occasions the color of the photo will not be accurate so the color of the mineral will not be correct – so tell us the color you can see in day light. 5 - LUSTER is possibly the hardest for those starting out in the hobby: it is best to check this using daylight, to say that it is ‘metallic’ is easy, ‘semi-metallic’ a bit harder and then ‘non-metallic’ easy again: In the latter you can add other descriptions such as ‘silky’ (fibrous gypsum), ‘glassy’ (quartz), ‘greasy’, ‘waxy’ (talc), and ‘resinous’ (sphalerite). 7 - STREAK, you can determine this with some simple homemade tools: the base of an unglazed pot, plate, or tile … as long as it is porcelain. Always try to rub a fresh section of the mineral you are interested in on the porcelain and see what color the streak is: oxidized sections or coatings can ruin the results. If you are handy and have a Dremel type tool you can take a broken piece of glazed porcelain and remove the glaze – then you have your own tool for doing streak tests. 8 - HARDNESS, this is tested using a range of other minerals that are easily available: 1- talc, 2- gypsum, 3-calcite, 4-fluorite, 5-apatite, 6-orthoclase and 7-quartz. Try to find a sample with a fresh surface (not oxidized or altered) that is flat. Some of these can be found in nature, maybe near your house, or by exchange or cheaply from a mineral show if you tell dealers that you want samples for doing hardness tests. They do not need to be crystals, so that can be pieces that have been created while trimming specimens, etc. There are other house hold things you can also use: your thumb nail (harness 1-2), a copper coin (3), the blade of a knife (4-5), a nail file (6), glass (6-7). Take your unknown mineral and try scratching other materials with it or scratching it with them. Its hardness is between that of the hardest thing it will scratch and it will not scratch in the scale. So if it will scratch fluorite but not apatite then it is hardness 4.5. There are other physical properties that we can use as they can help us, although some are more difficult: TRANSPARENCY, FRAGILITY, DENSITY, but we will leave them for now. Cleavage describes how a mineral breaks.Many minerals break along planes parallel to their atomic planes. This can help you identify a mineral as minerals can show no cleavage or up to six planes of cleavage. These examples show cleavage of different minerals, again with thank to the Colorado School of Mines. The fact that Quartz has no cleavage is a great help in identifying a mineral – if you specimen shows cleavage it is not Quartz. Another simple property is MAGNETISM which can be tested with a magnet that you can get from many sources, even the ones used for kid’s toys and publicity, which are great for testing minerals that are weakly magnetic. You can test chemical properties for some minerals. For example, a few drops of hydrochloric acid (dilute or concentrated) can be used to see if bubbles form or the mineral dissolves. All such test should be done with great care. The best way is to put some drops of the acid on a neutral surface (say a sheet of glass) and then place the tip of the mineral in the acid and see if any reaction occurs. You should have distilled water nearby so that you can quickly clean the sample. If the mineral you are testing is not near the tip of the specimen you can soak a wooden material (say a toothpick) in the acid then use it to transfer a drop of the acid onto the mineral of interest to see if there is a reaction, quickly cleaning the specimen afterwards. Testing using a 20% solution of hydrochloric acid. WARNING! Working with chemical products is dangerous (they are corrosive and toxic). Use them in well ventilated areas, always use gloves, protective goggles and a face mask. You can also try a safer warm vinegar test on anything that you suspect to be calcite / limestone / marble (in that decreasing order of reactivity). Not much else will bubble in an acid as weak as vinegar, and vinegar is both safe and easily attainable. Note that the bubbling may be slow - you can increase the reaction rate by powdering the sample or using slightly warmer vinagar. IMPORTANT: In no way is this all there is on this subject on the web. It is a good introduction but there are great books and magazines out there where you can find far more information and there are other web sites that can help you with this process. Thanks to this and other forums and their members who visit them the amount of information on the web continues to grow with more images and information, so there will be more out there to help you than those thoughts we have suggested above. If you can just give some of this information when you ask about a mineral you will help others help you. That said do not expect miracles, as there is nothing better than holding a specimen in ones hands. This text was written by Carlos J. Rodríguez, who was helped by Juan De Laureano (Nitana2000) and it was reviewed by Jordi Fabre and then translated by James Catmur. There is another test that can be very helpful for identifying minerals: specific gravity. Specific gravity is the density of a specimen relative to water. 1) Measure the volume of the specimen with just a measuring cup. i) put water in a measuring cup to a level higher than the size of the specimen. ii) place the specimen in the cup with the water. iii) measure the volume increase by how high the water rose in the measuring cup. The difference between the water volume before you added the rock and after you added the rock is the volume of the rock. iv) convert this volume measurement to cubic centimeters if necessary. 3) Determine the specific gravity. Water has a specific gravity of 1, and it weighs 1 g/cc. If your specimen weighs 4 grams and occupies a volume of 1.4 cubic centimeters, then its density in g/cc is 4/1.4 or 2.85 g/cc. Such a rock has a specific gravity of 2.85.
a) Fill a beaker with water to one of the graduations so you know pretty accurately how much water is in the beaker. b) put the specimen in the beaker. c) fill a graduated cylinder with water up to its top graduation. Now you know exactly how much water is in the graduated cylinder. d) pour water out of the graduated cylinder into the beaker so the water level rises to the next higher graduation on the beaker that also submerges the specimen. Note how much water was poured out of the graduate cylinder (initial water level minus final water level). e) the volume of the specimen is equal to the higher graduation in the beaker (measured in step d)) minus the volume of water poured out of the graduated cylinder (step d)) minus the water that was in the beaker before you added the specimen (step a)). Posted: Sep 12, 2011 09:38 Post subject: Re: Asking: "What is this? / Where is it from?" Posted: Sep 12, 2011 13:23 Post subject: Re: Asking: "What is this? / Where is it from?" Posted: Sep 12, 2011 13:32 Post subject: Re: Asking: "What is this? / Where is it from?" Are you serious? you did A LOT of work!!!! Thanks Matt, I already moved your post just below the reference post of James Asking: "What is this? / Where is it from? in order to keep both together.